Category Archives: What the veg? Just because the CSA summer / fall season is over and we’re not getting weekly deliveries doesn’t mean there is a shortage of organic, healthy vegetables. While we love our root veggies as much as the next person, I was excited to spot this bright bag of green at the farmers market this weekend. 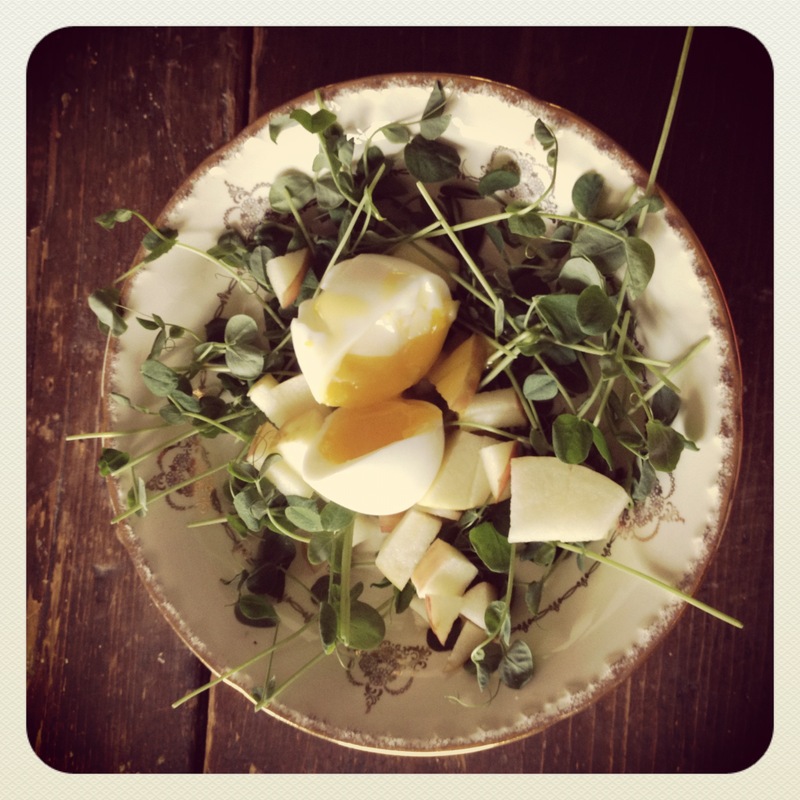 I’d never had pea shoots before. 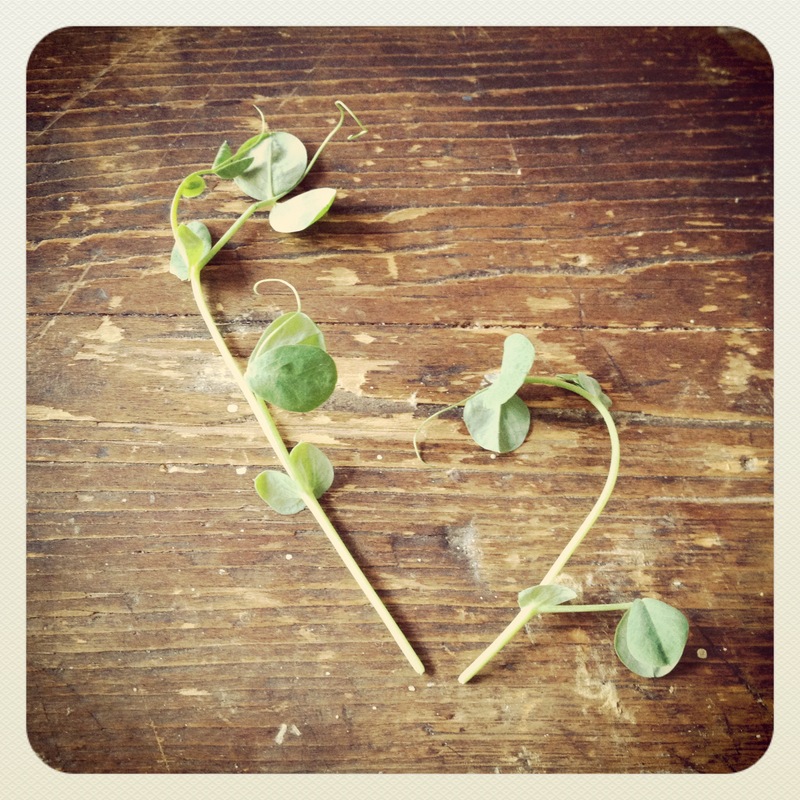 Like baby spinach, the leaf is mild and tender. But in contrast, the stalks are slightly woody, crunchy and bright. They are delicious as a salad on their own and a great way to top a sandwich or add some depth to a simple bowl of soup. Don’t forget to support your local greenhouse growers this winter! *In the box, Archives, What the veg? 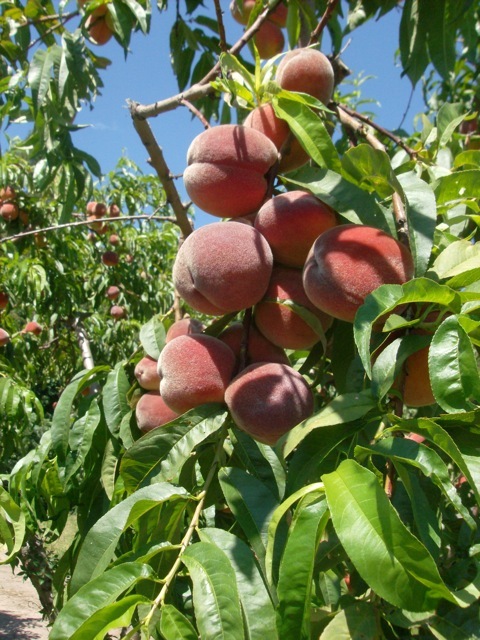 Fruit share holders, we’ll be getting our first taste of CSA peaches this week. Some in your bag may need to ripen a bit. This is best done by either leaving out at room temperature or putting them in a paper bag (the ethylene gas given off by the ripening fruit becomes trapped in the bag, which speeds up the ripening process). Dill is an ancient herb that dates back to 1640. Dill is native to southern Russia, western Africa and the Mediterranean region. This aromatic herb grows to 3ft tall with long feathery fronds and tiny yellow flowers and has a subtle anise flavor. The seeds are stronger and more flavorful than the leaves and are most commonly associated with the cuisines of Scandinavia and Germany. Fresh dill is available during the summer and early fall. Fresh tarragon. For a garnish try anise (fennel) fronds. Fresh dill should always be stored in the refrigerator either wrapped in a damp paper towel or with its stems placed in a container of water. Since it is very fragile, even if stored properly, dill will only keep fresh for about two days. Dill can be frozen, either whole or chopped, in airtight containers. Alternatively, you can freeze the dill leaves in ice cube trays covered with water or stock that can be added when preparing soups or stews. Dill is a unique plant in that both its leaves and seeds are used as a seasoning. 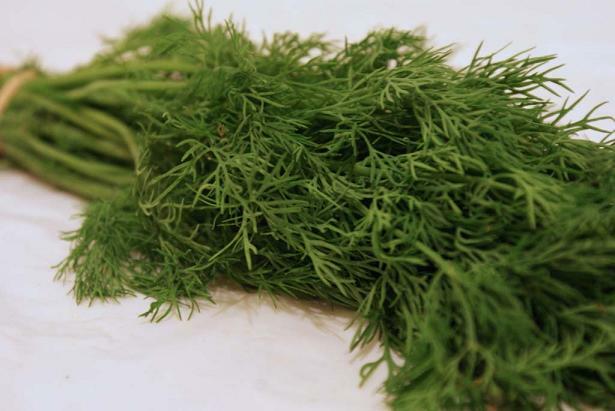 Dill’s green leaves are wispy and fernlike and have a soft, sweet taste. Dried dill seeds are light brown in color and oval in shape, featuring one flat side and one convex ridged side. The seeds are similar in taste to caraway, featuring a flavor that is aromatic, sweet and citrusy, but also slightly bitter. Dill provides a tangy addition to pickles, salad dressing and fish dishes. Combine dill weed with plain yogurt and chopped cucumber for a delicious cooling dip. Use dill when cooking fish, especially salmon and trout, as the flavors complement one another very well. Use dill weed as a garnish for sandwiches. 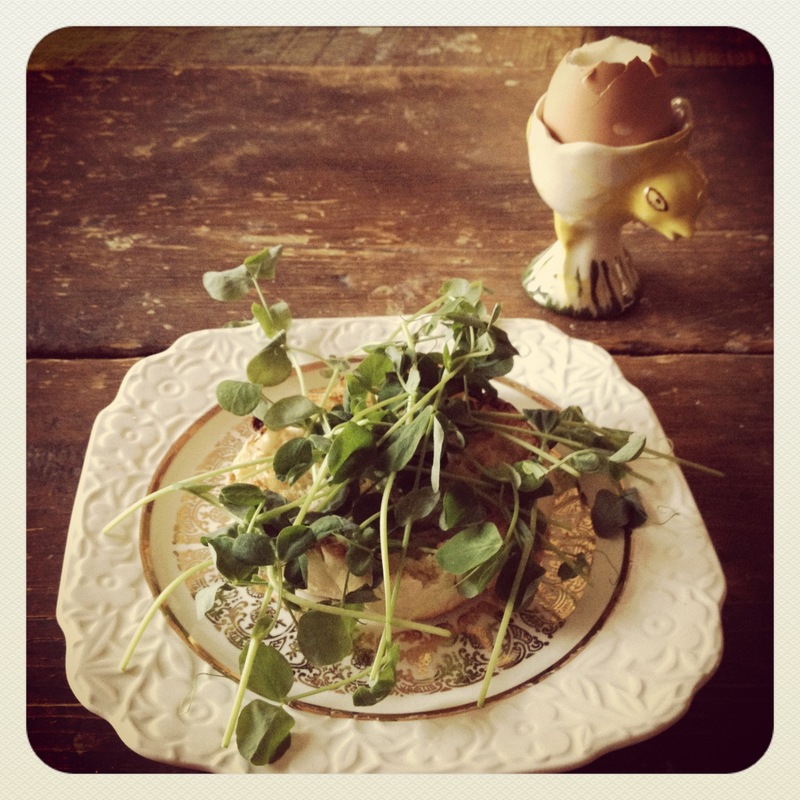 Add dill to your favorite egg salad recipe. Mix together chopped potatoes, green beans, and plain yogurt, then season with both dill seeds and chopped dill weed. Calorie for calorie, leafy green vegetables like spinach with their delicate texture and jade green color provide more nutrients than any other food. Researchers have identified at least 13 different flavonoid compounds in spinach that function as antioxidants and as anti-cancer agents. Spinach is known to help prevent prostate, ovarian, and colon cancer. It’s also good for the bones, the heart and is anti-inflamatory. Apparently spinach does everything but clean the house and tune up your car! There is a reason Popeye ate so much spinach! 1 cup is just 7 calories but offers 1 gram of protein and fiber each. It offers a whopping 56% of the daily requirement of Vitamin A. 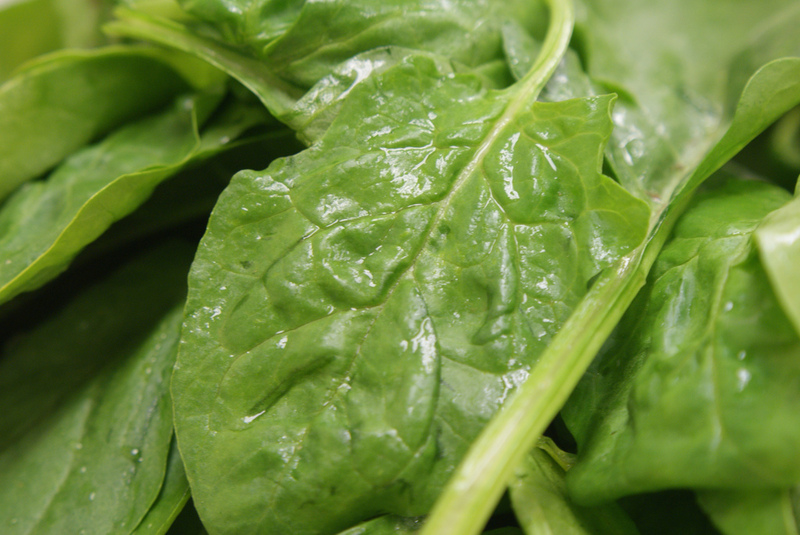 Spinach is also a good source Vitamin C, folate, potassium, and calcium. Wash and dry and then store in fridge in plastic bag w/dampened paper towel. Russets are ideal for baking or mashing. Another foolproof way to enjoy is to slice thinly and place on baking sheet lined with tin foil, a bit of oil and salt. Bake at 450 until browned until both sides are browned. If you want to get fancy, make a dip by mixing some mayo with scallions or Cholula or Sriracha hot sauce. 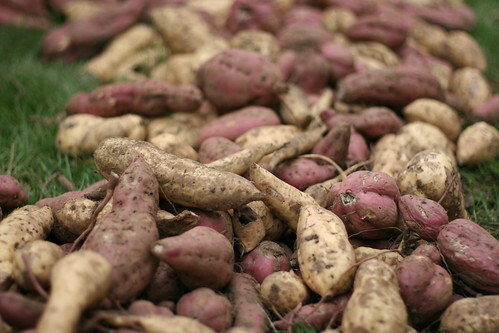 The sweet potato is only distantly related to the potato (Solanum tuberosum). The softer, orange variety is commonly marketed as a “yam” in parts of North America, a practice intended to differentiate it from the firmer, white variety. The sweet potato is very distinct from the actual yam, which is native to Africa and Asia and belong to the monocot family Dioscoreaceae. To prevent confusion, the United States Department of Agriculture requires that sweet potatoes labeled as “yams” also be labeled as “sweet potatoes”. In a dry, room temperature location. (Above 55 F is important – cooler temperatures will result in chilling injury to the sweet potatoes.) Keep in paper bags or baskets out of direct sunlight. Store in fridge in plastic bag w/dampened paper towel. Do not pre-wash, unless you want to freeze it. 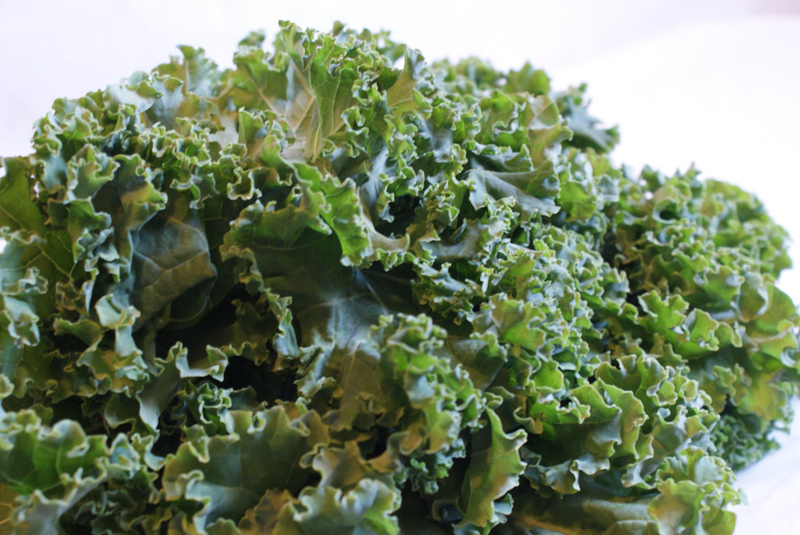 Did you know you can freeze your kale? Wash, then blanch for 3 minutes, drain and plunge into ice water. Chill for 2 minutes, drain, then pack in freezer containers or bags. Use within 6 months. Long simmered Green Kale loses its bright color as it simmers; the flavor of the leaves is strong, yet sweet. Be sure to sop up the sweet liquid in the pot with bread! If you blanch and then pan-cook your kale it will be brighter, in color and flavor, but will yield much less, because it loses volume when it’s blanched. One simple cup of boiled kale has 2 grams of protein, 3 of fiber, only 36 calories and 354% of the day’s serving of Vitamin A!! Don’t be scared of this ugly veggie! This ugly duckling is often compared to a turnip, but much sweeter. Store in plastic bags in the fridge where they won’t dry out. Add a few drops of water in the bag. They keep for months, much to my chagrin delight. Mash & blend with butter & cream. Peel first! Hello, gorgeous! 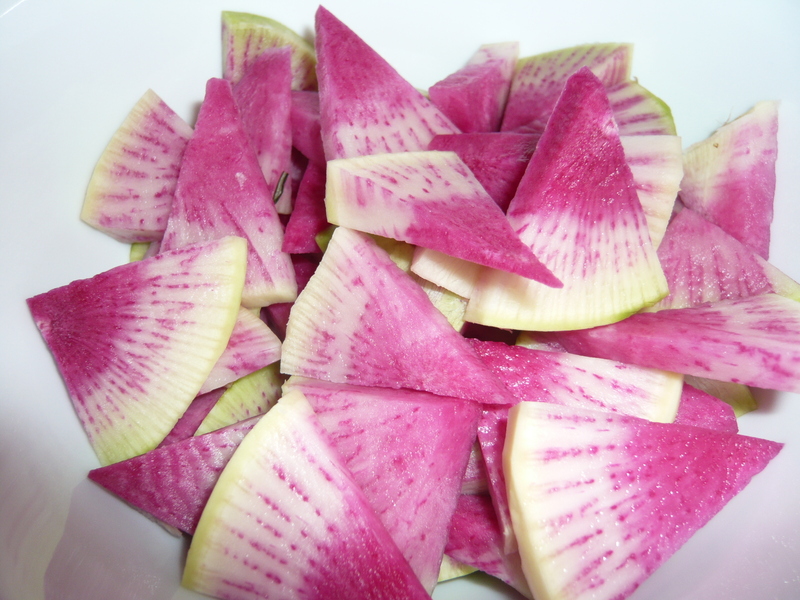 I think we’d love watermelon radish even if it didn’t taste as wonderful as it does. This beaut has a crisp texture and a mild to sweet peppery flavor. Store in plastic bags in the fridge. Eat raw, stir-fry or, my favorite way, pickled. They’re a good source of vitamin C, potassium and folate. One medium size potato has 2 grams of fiber and 2 grams of protein. It is another winner with vitamin C! You get 45% of yoru recommended intake of C with one potato! It is also hight in potassium and B6. These potatoes are now available throughout most of the year. This is among the potato types that provide the creamiest texture; the meat of this potato has a golden color and it tastes great. 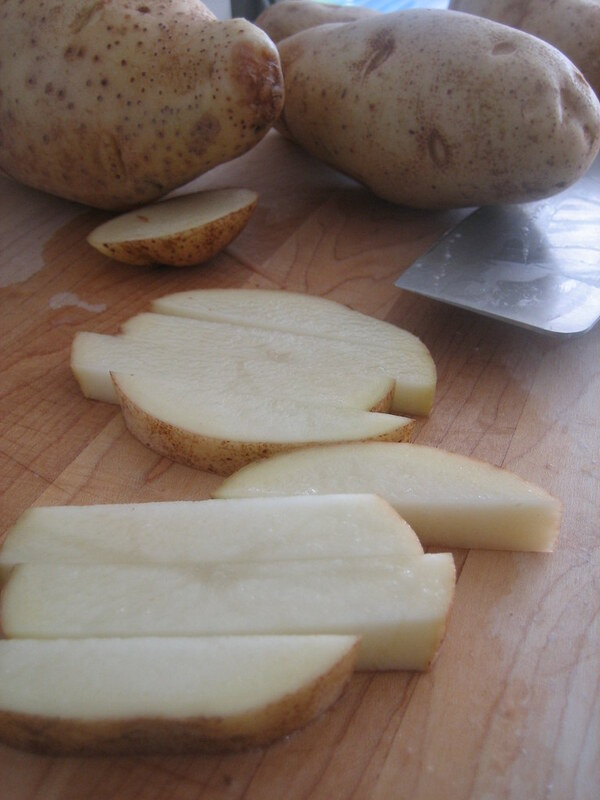 You can use this type of potato for broiling, roasting, steaming, and more. Store potatoes in a cool dry place. They will keep at room temperature for up to two weeks and longer when stored in cool temperatures. Do not store in the refrigerator because the cold temperatures will convert the starches into sugar and the potato will become sweet and turn a dark color when cooked. BIG TIP: Do not store with onions, the gas given off by onions accelerate the decay of potatoes! !